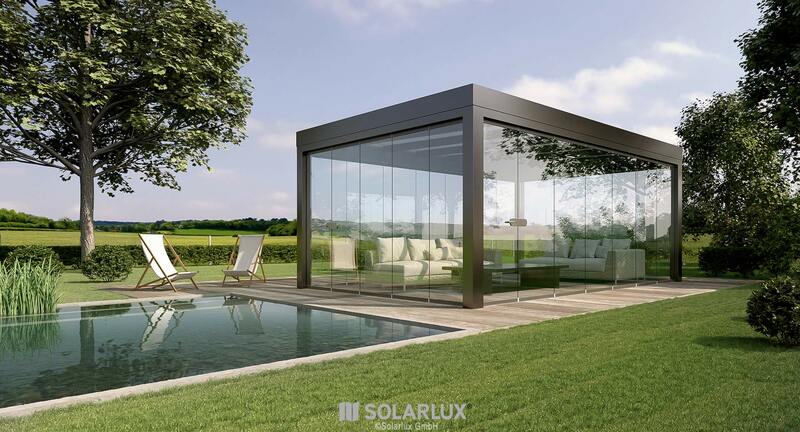 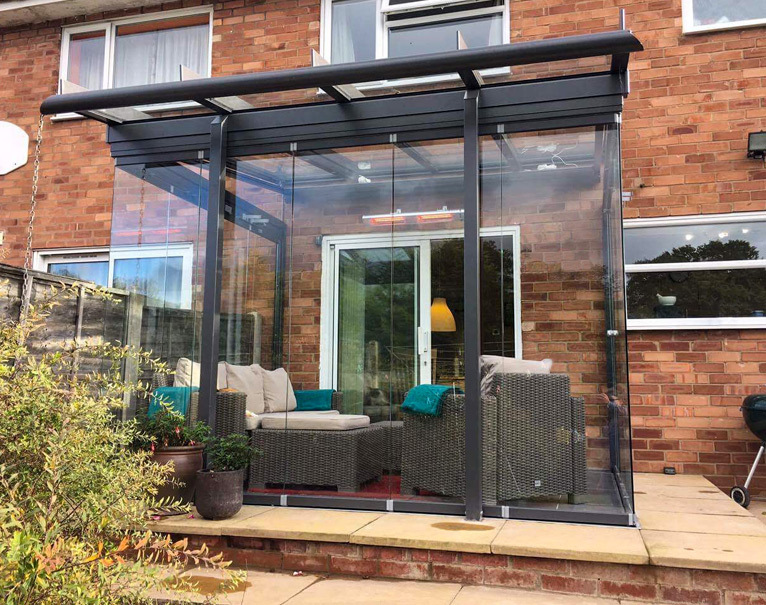 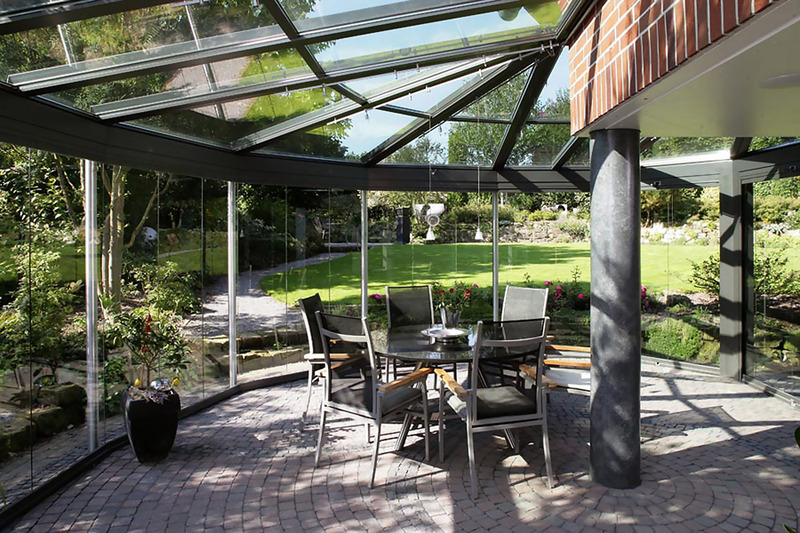 A canopy provides shelter from the elements allowing you to spend longer outdoors, as well as bringing contemporary design to your home. 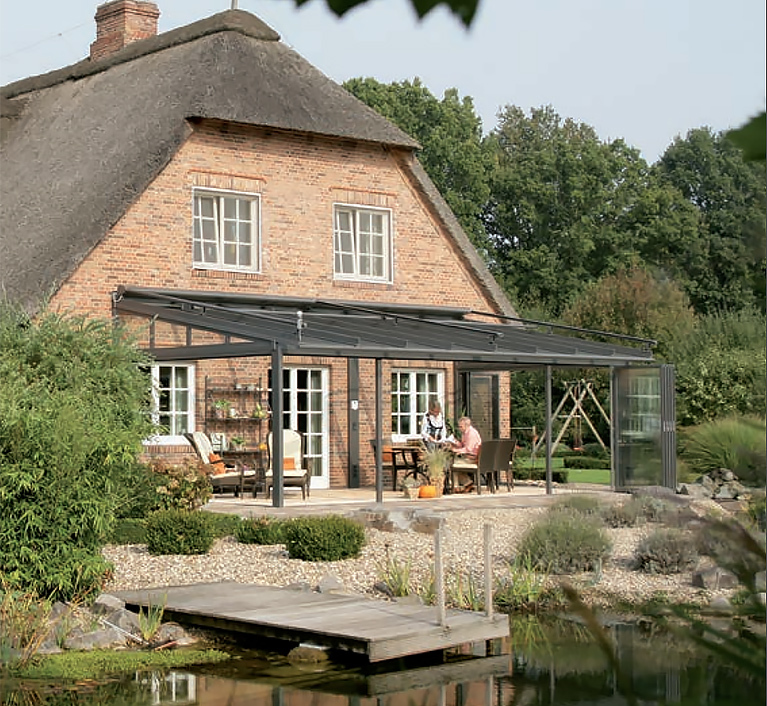 An optional external awning can provide shade in the summer, with choices for manual, electric and remote operation. 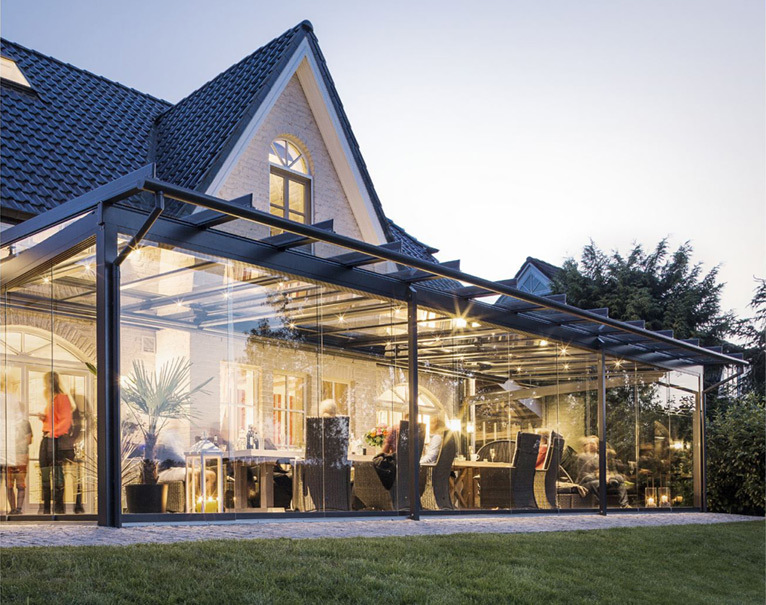 The advantage of an external awning over an internal blind is that the awning stops the heat from the sun before it passes through the glazing. 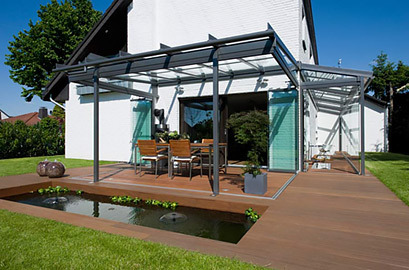 The addition of frameless sliding glass panels can turn your open space into a glass-house in the evening or on cool or windy days, creating a sheltered haven where nature is never far away. 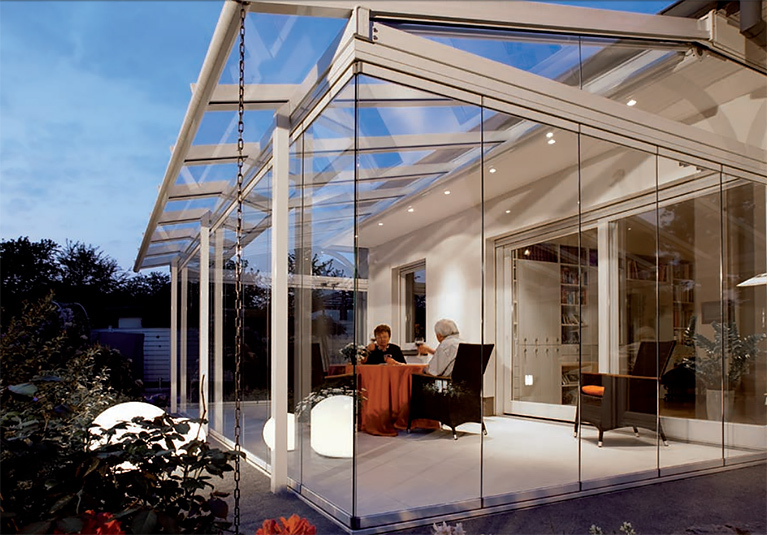 Note: The Glass House provides weather protection and can be very pleasant on a sunny winter's day but it is not thermally insulated. 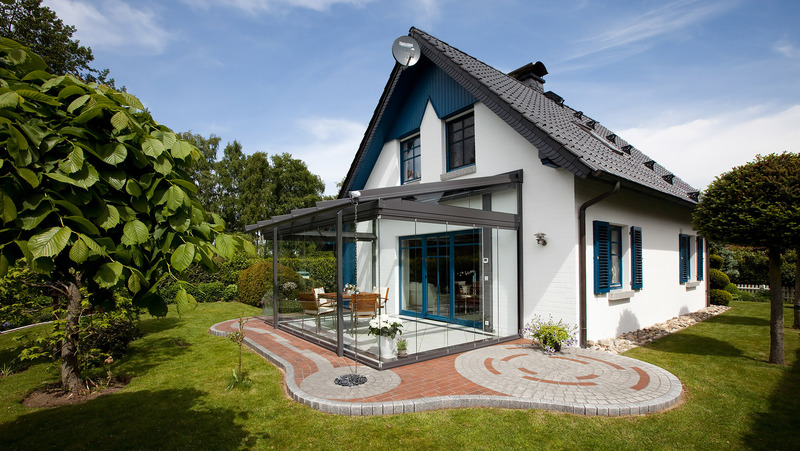 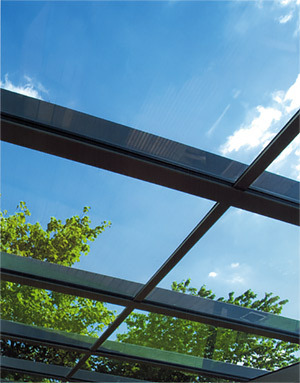 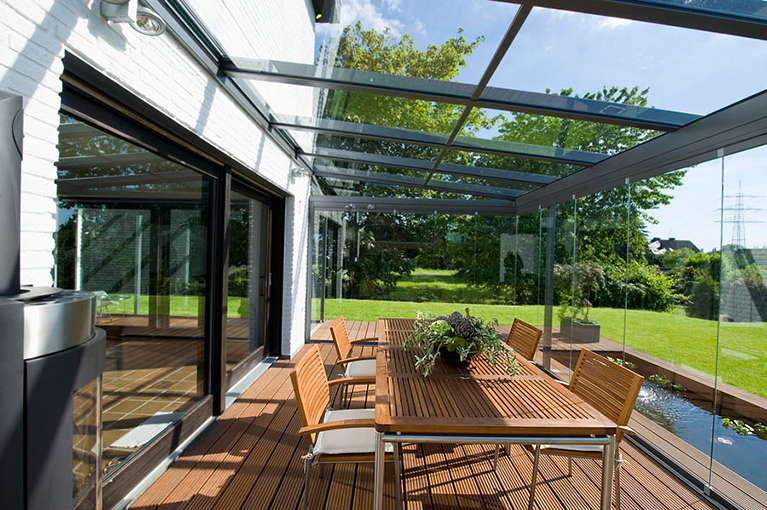 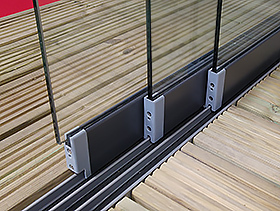 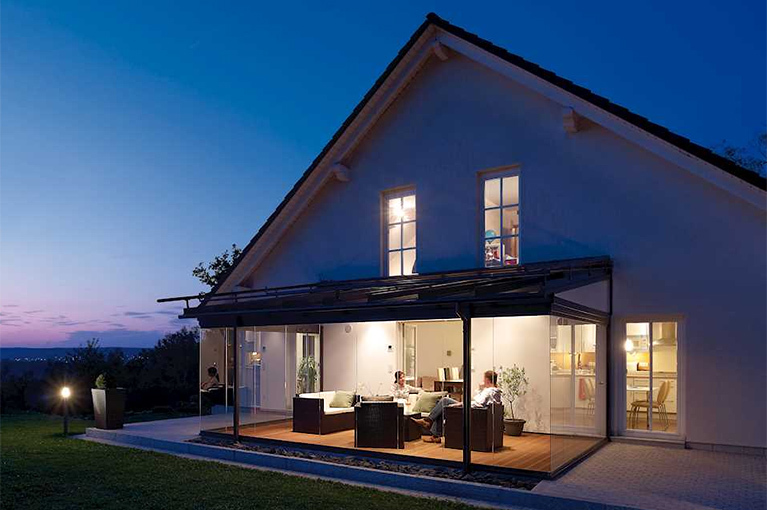 For insulated glass extensions, see the Wintergarden system. 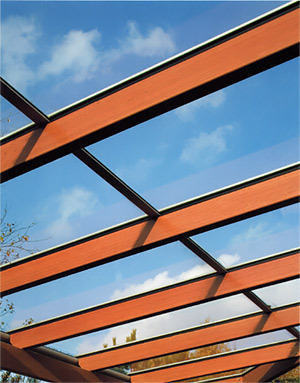 External structural profile for flush appearance on the inside. 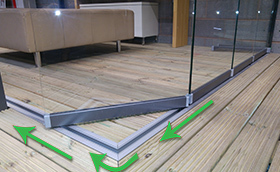 Internal structural profiles for flush appearance on the outside. 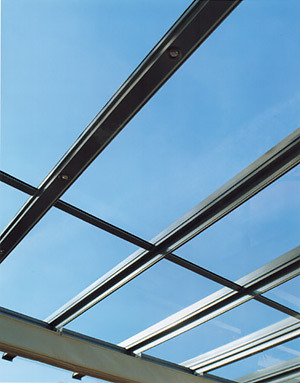 Extensive range of accessories: lighting, shade, etc. 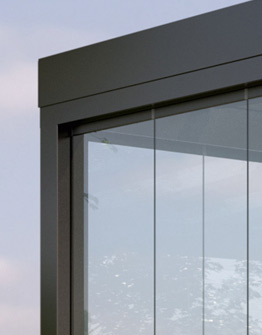 Glass Rooms are tested in extreme conditions to make sure they can stand anything that is thrown at them. 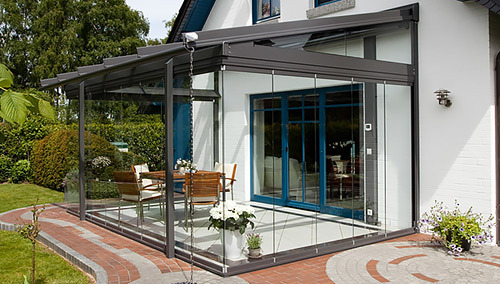 This video demonstrates how effective they really are.